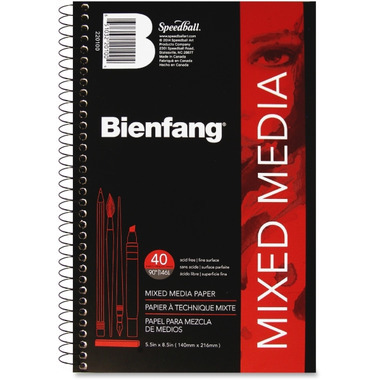 Speedball Bienfang Mixed Media Pad features a fine-textured surface to cleanly accept wet media, erase easily and mix well. The acid-free material prevents yellowing over time to maintain a high-quality appearance. The spiral binding allows pages to open completely for an easier writing experience. Perfect for use with watercolours, acrylics, pencils, markers, pastels and more.